Green Canyon, popularized by the French in 1993, has a charm that is extraordinary. A combination of rivers, green valleys, forests, and various flora and fauna. The beauty wrapped in silence, like a hidden paradise. Its original name was "Cukang Taneuh". 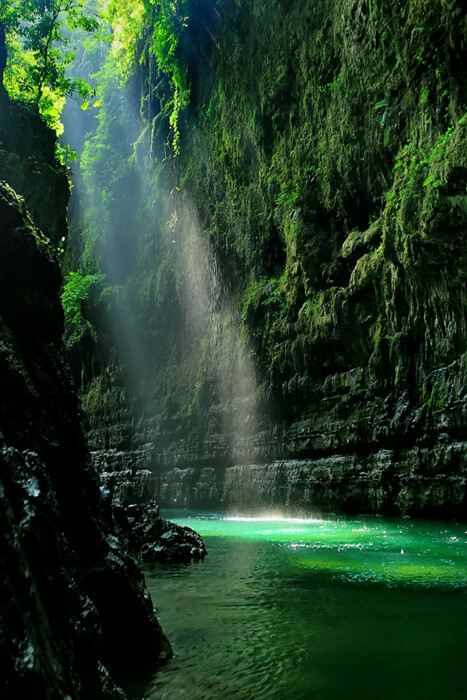 Green Canyon has its own uniqueness. From the boat trip itself with the traditional "ketinting" from the dock for 30 minutes we will be happy to pass the river with green water tosca (if not raining). On the way we see life on the riverbanks. Occasionally seen lizard and some other reptiles. and also the local residents are lured reply or fishing.